Being a successful entertainment provider means staying up to date with the latest technology and requirements which is key to ensuring the service and equipment we provide is the best possible available and that nothing goes wrong for your event. In saying that, this week we have just purchased a new wireless microphone system to replace what we had, ensuring we are up to date with the latest advancements in this technology as well as meeting the requirements under the new NZ law regarding wireless radio microphones which comes in to effect from 11 March 2015. 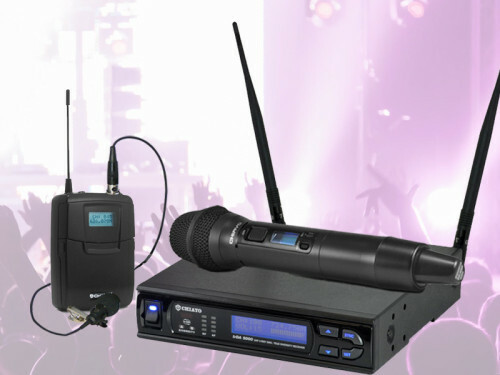 We’ve just purchased a brand new Chiayo IrDA-9000 Wireless Microphone system. Basically, the introduction of digital television and the reallocation of the frequency range 698-806 MHz for next generation (4G) mobile broadband has affected the frequencies available for radio microphones. Any radio microphones operating in the frequency range 698-806 MHz will not be permitted to operate in this range from 11 March 2015. Therefore all professional users who are most likely to use this equipment will need to ensure their systems operate within the legal frequency ranges to avoid interference. Permitted frequency ranges are 502-606 MHz and 622-698 MHz. All users of wireless microphones need to adjust or upgrade their systems to ones that can operate within this range. You can find out a little more about our Chiayo IrDA-9000 Wireless Microphone system HERE. And you can be rest assured that we have the latest technology available right now for your event from a leading audio provider like Chiayo.